Blue has been my favorite color ever since my childhood. I’ve always leaned towards it, in my clothing, my makeup and even home furnishings. It’s not the coolness of the color that I particularly like, but instead, it’s the calming sense of rest. While I am still attached to the color, I have begun to expand my horizons to include more reds and yellows these days. In fact, I have a red sofa and lounge chair—amazing! So unlike Pablo Picasso, it took me about 40 years to end my blue period. Blue is a fun color to read and write about because it’s interesting, especially its history. To me, blue seems to be all around us from the cerulean skies (okay maybe not always in Oregon) to the big blue Pacific. So you’d think that the color would easily find its way into literature. But strangely, blue is not mentioned in many ancient writings, including those from India, China, even in Homer’s Iliad and most surprisingly the Bible. Other colors are mentioned but no one really knows why blue is absent. Of course, there are lots of theories. The only one that makes sense to me is that the ancients only talked about colors that were important for survival, i.e., red for fire or poisoned berries, black for night, danger, etc. If you want to learn more about this mysterious phenomenon, go to the following article authored by Dr. Dov Michaeli: The Evolution of the Color Blue. Very bizarre. While the color blue may not have been mentioned in early literature, it sure didn’t lose any attention in the form of the visual art. 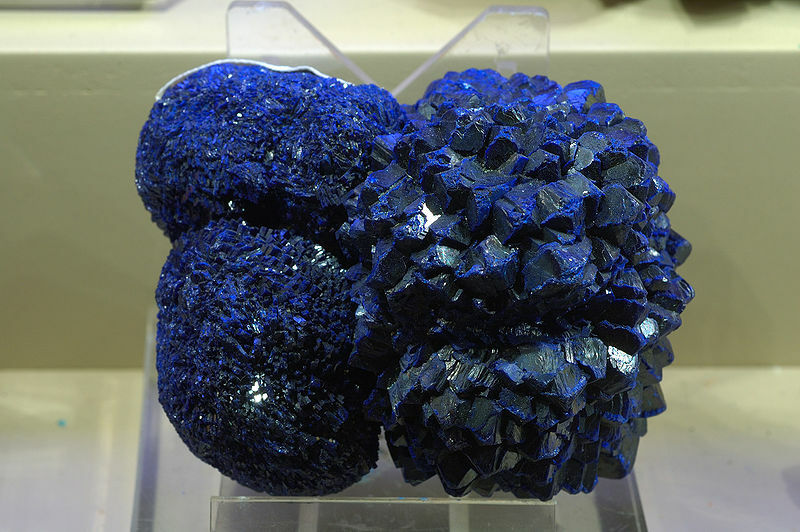 Egyptians created the blue pigment from copper silicates and calcium oxide. While it was a great start, it was highly fugitive, sometimes turning black. The Romans called it, Egyptian blue and it was worn by many public servants. It is believed this practice was the origin of the blue uniform worn by police. Beyond the Egyptian blue, there was also azurite. A deep blue, leaning toward green, it was used during the medieval period up to and including the 15th century. The pigment offered a wide flexibility in its ability to create a variety of different blues depending on the manufacturing process. Best of all, there was plenty of it in Europe. 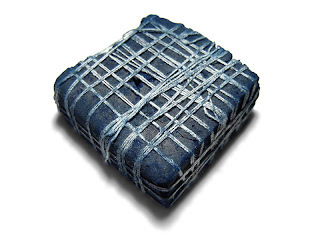 A darker blue pigment, close to shade of indigo, was used in the British Isles, named woad. Warriors would use this pigment as face paint to strike fear in their enemies hearts, the most famous being Julius Caesar in 55 B.C. 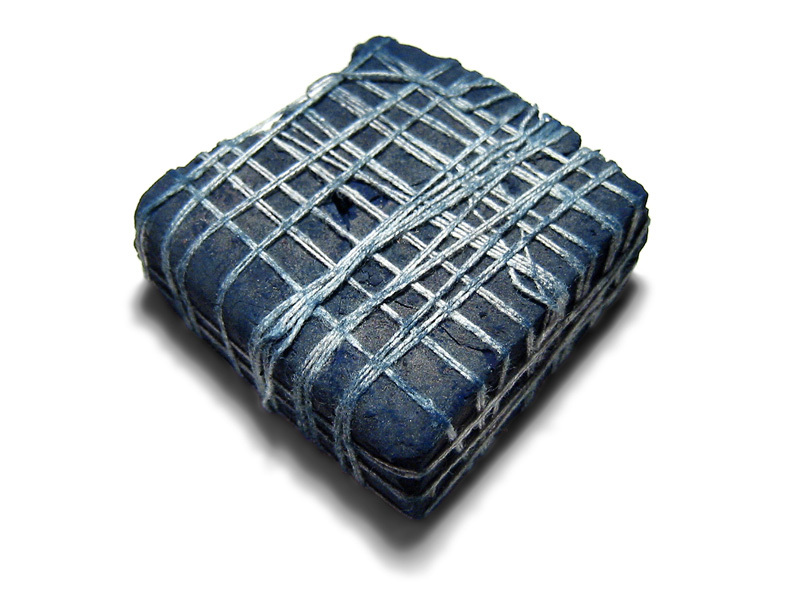 Woad was also used by the Irish monks for blue in the Books of Kells. While Europe was limited to their native blue pigments, the best was being used in Asia in the form of lapis lazuli—a somewhat rare, semi-precious stone found in Afghanistan. When the stone is ground up and turned into a pigment, we know it as ultramarine, which means “beyond the sea.” The pigment was used in Asia in the 5th and 6th centuries but gained major popularity during the European Renaissance era. Extremely expensive to manufacture, ultramarine was used sparely by most artists, leaving it for the Madonna’s and Christ child’s clothing in paintings. Another blue import was the color indigo found in India. 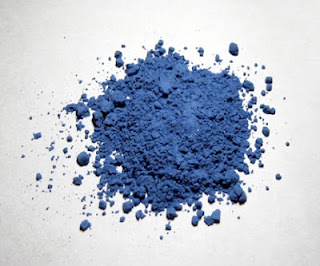 An organic pigment from the indigofera tinctorum plant, indigo has a deep bluish/purple quality to it. It is 30 times stronger than woad but usually fugitive (not colorfast). By the 19th century, blue pigments were being manufactured synthetically, which gave artists a wide range of color and at a cheaper cost—Prussian blue was the first to be synthesized, followed by cobalt and cerulean blue. Then in 1824, the Societé pour l'Encouragement d'Industrie offered a prize to any chemist who could create a synthetic ultramarine. Six years later Jean Baptiste Guimet won the prize, and thus gave birth to the pigment French ultramarine. One of the primary colors, coldest color on the wheel, creates secondary colors with other primaries. Complementary to orange, orange-yellow and yellow. Ultramarine blue: deep blue with slight reddish cast, transparent. Cobalt: similar to ultramarine with a lightly greenish tone. Cerulean: deep azure blue, opaque, good tinting/hiding power, great for skies and water. 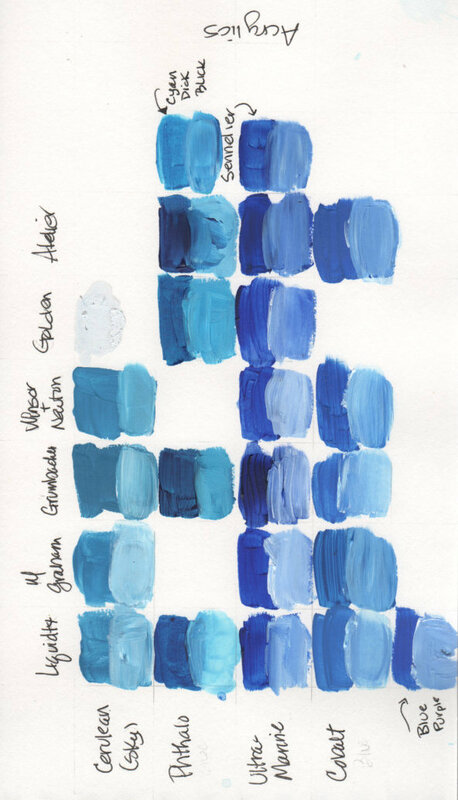 Phthalo: a modern synthetic, intense, powerful color similar to Prussian, also known as Winsor blue. 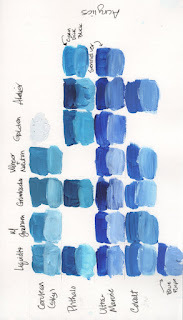 As I did last month, I took all the blues I have and put them in my color book. 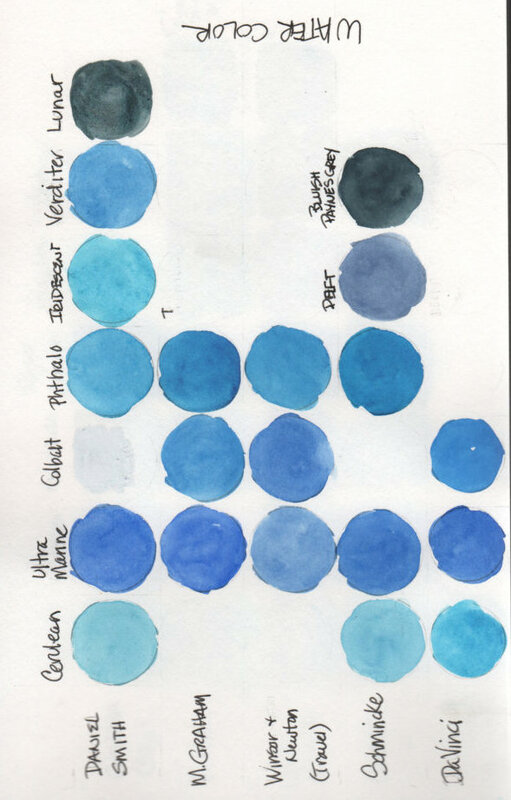 There were no big surprises for me, although I have to say, I was intrigued by Daniel Smith’s lunar blue and Schminke’s Paynes grey, blue—both watercolors. They seem to be the same, but with different names. On the acrylics side, I am still a great believer in Atelier’s paints by Chroma. Along with being smooth and creamy with fairly good coverage, the paint takes a while to dry, giving me more time to play. What’s more, you can purchase an unlocking medium, which will let you “unlock” your acrylic paint on the canvas for up to seven days. I like the option of changing my mind without having to paint over the area again with gesso. If you’d like more information on Atelier paints go to their website: www.atelier.com.